Sugar cravings. I’m sure you are familiar with them, as most people are. They can run your life and often leave you feeling out of control. When working with new clients I always ask them what their biggest food vice is or the biggest challenge they face when it come to their eating, and the answer is always; Sugar, or foods that turn to sugar, like refined, processed carbs. It’s next to impossible to avoid it. It’s in almost every processed food in some form or another. It’s in yogurt, spaghetti sauce, ketchup, toothpaste, mouthwash and even mustard! Manufacturers are even using fancy names like, evaporated Cane juice, fructose, maltose or raw cane sugar to try and trick us, when the truth is, it’s still sugar and it still has the same effect on the body. One thing is true, our body needs sugar to survive. Our muscles need it after a workout to restore glycogen supplies and our brain needs it to function. We do need it, but not in the amounts, or from the sources that an average American is ingesting it from today. That’s insane! And not only is it insane, but eating that much sugar is causing a whole slew of health problems for kids and adults. Sugar inhibits the effect of leptin, which is a hormone that lets your body know when it’s full. So your body never feels full and you keep right on eating! Adult onset diabetes rates are at their highest ever, and so is obesity. Sugar is the biggest culprit of these two diseases. Some agencies are claiming that sugar is as addictive as cocaine and heroine, in that it releases the same “feel-good” chemicals in your brain that heroine AND cocaine do, short-term of course, leaving you wanting more. There has even been recent talk of taxing it, like we do cigarettes and other addictive like substances. Anything that creates a craving for more, even from just having a small amount, is considered an addictive substance. Did you know that eating sugar can suppress the immune system for up to 6 hours? Why do you think so many people get sick right after the holiday season? Their immunity is so worn down from eating so much sugary, fatty food that they are completely vulnerable to any bug that is out there. 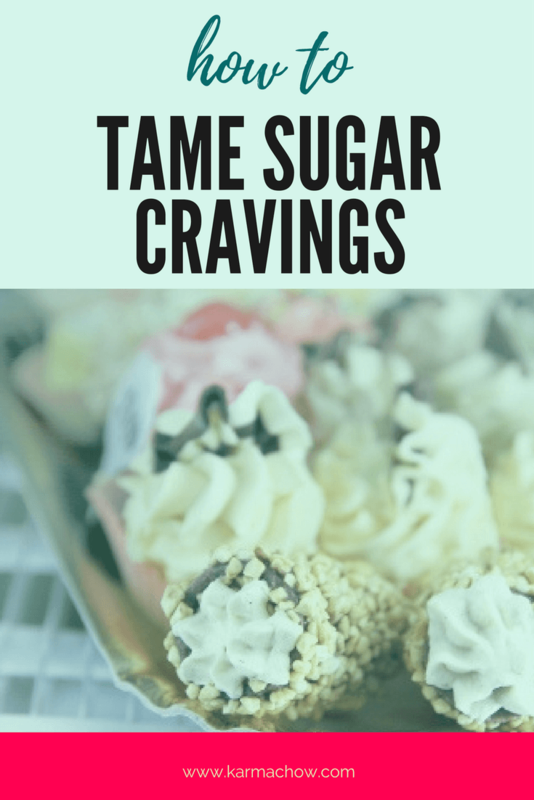 Well, there is hope; there is a way to tame your Sugar Monster and overcome sugar cravings. There are ways you can still keep sweetness in your life while cutting out the “bad” stuff. You don’t have to fully deprive your taste buds, which do need to be sweetly satisfied from time to time, but you can do it in a healthful way. Many of us also tend to turn to sugary food for comfort, which seems to be another big mountain to climb in the world of healthy eating. Comfort eating otherwise known as emotional eating (Click here to see my blog on Overcoming Emotional Eating), is something many of us engage in when we are stressed, anxious, feel alone, or experience anger or sadness. We use food as something to “get us through,” or comfort us, when in all actuality it could be negatively feeding our feelings, and causing major mood disorders. During my Vital Life 30-day cleanse, which are 95% sugar free, except for certain types of fruit and small amounts of low-glycemic sweeteners, mostly all of my participants claim feeling more even-keeled, more patient, level-headed and full of natural energy. This is due to balanced blood sugar levels, which is next to impossible when you keep feeding your sugar monster and the sugar cravings day in and day out. Keeping blood sugar levels stable will help you to have sustained energy and focus throughout the day, as well as help your metabolism to fire properly. Remember, coming off any “substance” can cause detox like effects, so be sure to drink a lot of water and take care of yourself by listening to your bodies needs. Eat foods that are high in complex carbohydrates and fiber throughout the day (when you are hungry) like beans, gluten free grains, yams, apples, and pears. This will ensure that glucose is slowly released in your blood stream giving you stable blood sugar levels all day long. Eat breakfast within an hour of waking up and have some protein with complex carbohydrates, this will help to slow the release of glucose in your system. Drink 2 teaspoons of Bragg apple cider vinegar in 6-8 oz of water before bed each night, or sip throughout the day, this will help to curb sugar cravings by regulating your blood glucose levels. It’s especially beneficial for those with Type 2 Diabetes. Take a high quality B-Complex and 1,000 mg of Chromium Picolinate per day to help with your daily cravings. A significant number of studies have shown that chromium can normalize blood sugar levels, improve blood sugar utilization and decrease insulin requirements in patients with glucose intolerance and insulin resistance. Manage daily stressors. Stress can be one of the reasons we seek out sugary foods for comfort. Stress is also hard on our adrenals, and makes them work overtime, which will affect blood sugar levels. If you are someone who needs caffeine to get your started in the morning, or as a pick me up in the afternoon, chances are your blood sugar levels are out of whack. Use lower glycemic sweeteners such as Stevia, Coconut/Palm Sugar, Mesquite Powder, Lucuma Powder and Xylitol (these can all be found at your local health food store.) Remember these are still a form of sugar, it doesn’t give you free reign to eat as much as you want. Use a drizzle here and there, or replace these sweeteners for real sugar when baking. Address underlying emotional issues that cause you to eat sugary foods. Work with a coach, or therapist to help you get to the root of your comfort eating and sugar cravings. When you feel a craving, sit with it instead of feeding it. 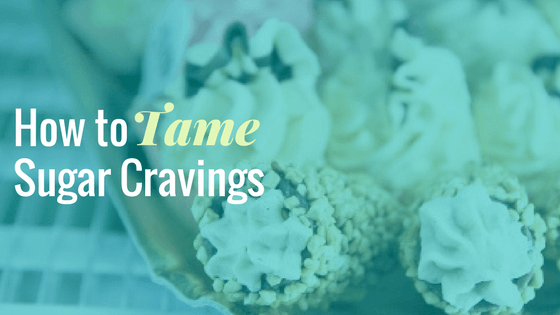 See if you can determine if the craving is real or if you are seeking solace outside of yourself. You can journal about it and see if anything further comes forward. You might feel super uncomfortable, but sit with it until it passes. Awareness is the first step to breaking any habit. Not only is sugar the culprit of many prevalent diseases today, but it is also responsible for premature aging, arthritis, brittle bones and more. It is highly acidic, which creates an unhealthy and toxic internal environment in your body. Over time, the more you eat clean, healthy, alkaline rich foods, the less and less your body will crave the sweet stuff. You will be crowding out those bad foods to make room for the good ones, and your body will let you know! I am rooting for you, and a sugar-free life!